Helmets are the single most important piece of equipment our children wear when playing lacrosse and, probably, the one we replace the least often. Mouthguards get too gross to keep wearing; gloves get holes or outgrown; elbow pads get lost — or at least one does, and, in our house, shoulder pads get a funky smell that requires replacement on a regular schedule. Our youngest son recently asked for a new helmet because his travel club has come out with a newer, cooler version. We hesitated at first, and then realized that he had not had a new helmet in a couple of years. In our defense, he wore a team-provided helmet for one year. The manufacturers acknowledge that helmets become less effective over time. The equipment is impacted by temperature, exposure to sun and wear and tear. Just think about how often those helmets hit the ground as the boys take off their equipment and drop it in the vicinity of their equipment bags. The helmet companies advise that helmets should be re-certified by a reconditioner approved by the National Athletic Equipment Reconditioners Association (NAERA). While our high school and youth club teams make certain that the team helmets are recertified, how many of us make sure individual helmets are checked out? There is a list of NAERA members that recondition and recertify equipment available at http://www.naera.net/members_all.html. NAERA is an association of athletic equipment reconditioners whose mission is to increase awareness and acceptance of high quality athletic equipment reconditioning and recertification. Members are licensed by the National Operating Committee on Standards for Athletic Equipment (NOCSAE) to recertify football, lacrosse, softball/baseball helmets and face guards. The mission of the National Operating Committee on Standards for Athletic Equipment (NOCSAE) is to commission research in sports medicine and science and establish standards for athletic equipment, where feasible. During the reconditioning/recertification process a percentage of lacrosse helmets are impacted in the front position and in one other location on the helmet at 16.04+ ft/sec in accordance with the NOCSAE standard for the recertification of lacrosse helmets. Recertified helmets have new stickers placed inside and outside showing that they've met the NOCSAE standard. Virginia Tech has established the STAR system for evaluating football helmets. In this case, STAR stands for “Summation of Tests for the Analysis of Risk.” At this time, Virginia Tech is grading helmets — what a great resource for schools, teams and families. Virginia Tech is currently collecting data for an evaluation of lacrosse helmets. However, the methodology is not scheduled to be released until the summer of 2015, with the ratings to be available in the summer of 2016. This will be great information for the lacrosse community. In the meantime, be a smart parent and take a look at your child’s helmet and think about when it was last replaced. If your child is provided a helmet by the school or club, look for the recertification sticker. How often do you replace equipment? How do you decide that its time? Please let us know by sending your thoughts to . My name is Alyssa Pfannenstiel and I am a junior at Algonquin High School who was an active three season athlete involved with soccer, softball and skiing. Over a year and half ago, I suffered a severe concussion while playing soccer. Currently I am working to obtain the highest award in Girl Scouts, the Gold Award. 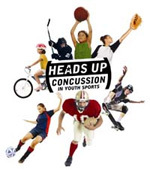 For my project I am trying to raise awareness and provide information on concussions for young athletes. I have created a Facebook page called Conquering Your Concussion in which my goal is to provide athletes and their families with information to become more aware of concussions. I also want to support and further educate concussed athletes and their families. I would like to know if I could speak briefly to your coaches, teams and/or parents to provide them information on concussions and invite them to join my Facebook page. I believe that information directly from an athlete that has suffered and is still suffering from the effects of Post-Concussive Syndrome may help support and maybe prevent a few athletes from the effects of concussions. As the application's name suggests, this app, from the folks who make the Immediate Post-Concussion Assessment and Cognitive Test (ImPACT), the most widely used computerized neurocognitive test for concussion management, provides information about concussions, but, unlike the others apps, is not a concussion testing tool. 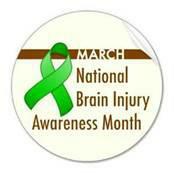 Advice on preventing mTBI (not just in sports but in everyday life). Worth downloading? Yes. While all the information on the app can be found in the MomsTEAM concussion center and elsewhere on the Internet, it might not be a bad idea to download this app so you have it on your smartphone for reference, just in case you can't access the Internet.